Golestān Province is one of the 31 provinces of Iran, located in the north-east of the country south of the Caspian Sea. Its capital is Gorgan. Sayyid Ali Hosseini Khamenei is a marja and the second and current Supreme Leader of Iran, in office since 1989. He was previously President of Iran from 1981 to 1989. Khamenei is the second-longest serving head of state in the Middle East, as well as the second-longest serving Iranian leader of the last century, after Shah Mohammed Reza Pahlavi. Eshaq Jahangiri Kouhshahi is an Iranian politician and first vice president of Hassan Rouhani's government. Jahangiri was the minister of industries and mines from 1997 to 2005 under President Mohammad Khatami. Before that, he was governor of Isfahan Province. He was also a member of Parliament for two terms. Hassan Rouhani is an Iranian politician serving as the current and seventh President of Iran since 3 August 2013. He was also a lawyer, academic, former diplomat and Islamic cleric. He has been a member of Iran's Assembly of Experts since 1999, member of the Expediency Council since 1991, and a member of the Supreme National Security Council since 1989. Rouhani was deputy speaker of the fourth and fifth terms of the Parliament of Iran (Majlis) and Secretary of the Supreme National Security Council from 1989 to 2005. In the latter capacity, he was the country's top negotiator with the EU three, UK, France, and Germany, on nuclear technology in Iran, and has also served as a Shi'ite ijtihadi cleric, and economic trade negotiator. He has expressed official support for upholding the rights of ethnic and religious minorities. In 2013, he appointed former industries minister Eshaq Jahangiri as his first vice-president. Mazandaran Provincepronunciation (help·info),, is an Iranian province located along the southern coast of the Caspian Sea and in the adjacent Central Alborz mountain range, in central-northern Iran. Nowruz is the Iranian New Year, also known as the Persian New Year, which is celebrated worldwide by various ethno-linguistic groups. A return period, also known as a recurrence interval or repeat interval, is an average time or an estimated average time between events such as earthquakes, floods, landslides, or a river discharge flows to occur. 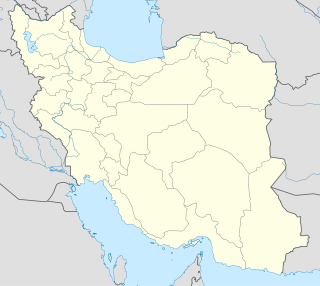 Aqqala is a city and capital of Aqqala County, in Golestan Province, in northern Iran. At the 2006 census, its population was 27,402, in 5,811 families. Semnan Province is one of the 31 provinces of Iran. It is in the north of the country, and its center is Semnan. The province of Semnan covers an area of 96,816 square kilometers and stretches along the Alborz mountain range and borders to Dasht-e Kavir desert in its southern parts. 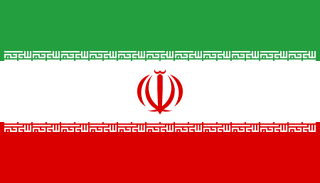 Iran is subdivided into thirty-one provinces, each governed from a local center, usually the largest local city, which is called the capital of that province. The provincial authority is headed by a Governor-General, who is appointed by the Minister of the Interior subject to approval of the cabinet. The 2009 Angola, Namibia and Zambia floods was a natural disaster which began in early March 2009 and resulted in the deaths of at least 131 people and otherwise affected around 445,000 people. The floods affected seven regions of Namibia, three provinces of Zambia, two regions of Angola and part of Botswana. The floodwaters damaged buildings and infrastructure and displaced at least 300,000 people. A state of emergency was declared in northern Namibia and there were fears that a disease epidemic would ensue. The Red Cross agencies and governments of the two countries responded to the disaster, and aid was distributed by the World Health Organization. A series of flash floods hit different areas of Thailand and Malaysia in 2010. Separate but related floods began in the Northeast and Central Thailand in early October due to abnormally late monsoon moisture over the Bay of Bengal, overflowed the Chao Phraya where the rivers meet, and affected Bangkok, and in the South were triggered by a tropical depression about two weeks later, and was later aggravated by related La Niña monsoon rains. Floods subsequently occurred in the Malaysian states of Kedah and Perlis in November 2010. The 2011 China floods are a series of floods from June to September 2011 that occurred in central and southern parts of the People's Republic of China. They were caused by heavy rain that inundated portions of 12 provinces, leaving other provinces still suffering a prolonged drought, a total of over 36 million people have been affected, killing at least 355 and with direct economic losses of nearly US$6.5 billion. Hossein Dehghani Poudeh is a former IRGC air force officer with the rank of brigadier general and the former minister of defense of Iran. He was designated for the position by President Hassan Rouhani on 4 August 2013 and confirmed by the parliament on 15 August. He left the office on 20 August 2017. Tasnim News Agency is a private news agency in Iran launched in 2012. Its purpose is to cover a variety of political, social, economic and international subjects along with other fields. All its content is licensed as Creative Commons. Jaish ul-Adl or Jaish al-Adl, meaning Army of Justice, is a Salafi Jihadist terrorist organization based in Pakistan and the Sistan and Baluchestan Province of Iran, responsible for several attacks against civilians and military personnel in Iran. The group claims that it is a separatist group fighting for independence of Sistan Baluchistan province and greater right for Baluch people. The 2014–15 Malaysia floods affected Malaysia from 15 December 2014 – 3 January 2015. More than 200,000 people were affected while 21 were killed. This flood have been described as the worst floods in decades. Presidential elections were held in Iran on 19 May 2017, the twelfth such election in Iran. Local elections were held simultaneously. Major general Gholam Ali Rashid is the current commander of Khatam-al Anbiya Central Headquarter and former deputy chief of the General Staff of Armed Forces of the Islamic Republic of Iran who was among decision-making commanders in the Iran–Iraq War. Also, Gholam Ali along with Mohammad Ali Ja'fari, Ali Fadavi, Qasem Soleymani, and Mohammad Bagheri is member of command network in the Armed Forces of the Islamic Republic of Iran. Seyyedeh Fatemeh Hosseini is an Iranian Reformist politician and a member of the Parliament of Iran representing Tehran, Rey, Shemiranat and Eslamshahr electoral district. Hosseini is currently the youngest member of the parliament. Local elections were held in Iran on 19 May 2017 to elect members of the City and Village Councils simultaneously with the twelfth presidential election. On 18 June 2017, under Operation Laylat al-Qadr, Iran's Islamic Revolutionary Guards Corps (IRGC) fired six surface-to-surface mid-range ballistic missile from domestic bases targeting ISIL forces in the Syrian Deir ez-Zor Governorate in response to the terrorist attacks in Tehran earlier that month. Next day, the IRGC published aerial videos recorded by the Damascus-based IRGC drones flying over the city during the operation, confirming that the missiles had successfully hit the targets with precision. The attack constituted the first operational use of Iran's ballistic missiles since the Iran–Iraq War of the 1980s. Mohsen Hojaji was an Iranian military officer. He served as an IRGC adviser to the pro-government forces in Syria during the Syrian Civil War. He was captured by ISIS forces near al-Tanf in southeast Syria, and was beheaded two days later. ISIS published a video of his capture, a picture of which went viral among Iranians in social media. The publicized captivity and his following death received widespread reaction among the Iranian people, government, and military. On 12 November 2017 at 18:18 UTC, an earthquake with a moment magnitude of 7.3 occurred on the Iran–Iraq border, with the Iraqi Kurdish city of Halabja, and the Kurdish dominated places of Ezgeleh, Salas-e Babajani County, Kermanshah Province in Iran, closest to the epicentre, 30 kilometres (19 mi) south of the city of Halabja, Iraqi Kurdistan. From February to April 2019, widespread flash flooding affected large parts of Pakistan, most severely in Balochistan, KPK, Punjab, and other provinces. Pakistan has been hit by three major waves of rain and flooding over the course of more than one month. The first wave of rain began on 20 February, leading to flooding in to Khyber and Balochistan, therefore many villages and several cities have been evacuated, and more than 1,500 families has been rescued alone in Balochistan and many in other states. The february 20 rain and thunderstorms caused flash floods in the Lasbela area. The main areas affected were Turbat, Tump, Nasirabad and Dasht where 300 people were displaced due to the flood. These people were then moved to camps established by the Provincial Disaster Management Authority (PDMA). Casualties have came mostly due to roof collapsing amid heavy rains and flash flooding. Khyber Pakhtunwkha has witnesses the most deaths till now, 40, alongside Balochsitan has faced 26 casualties with more than 9 in Punjab and other places. Due to rain, flood and storm casualties are increasing. 1 2 3 News, Reuters (10 April 2019). "Southwest Iran hit hard by flooding, evacuation underway in Ahvaz". Thompson Reuters. Retrieved 11 April 2019. ↑ "Iran calls emergency in flood-threatened southwest province". Reuters. 1 2 3 News, AFP (5 April 2019). "Iran floods death toll reaches 70". Agence France-Presse. France24. Retrieved 11 April 2019. 1 2 "Iran suffers '$2bn in damages' as flood toll continues to rise". Al Jazeera. 14 April 2019. Retrieved 14 April 2019. 1 2 3 "Iran Hit With 3rd Major Flood in 2 Weeks". nytimes.com. 1 April 2019. 1 2 3 4 5 "Flooding Displaces Tens of Thousands in Iran. And More Rain is Forecast". nytimes.com. 6 April 2019. 1 2 3 "Iran flooding kills 70 after record rainfalls". CNN. 7 April 2019. ↑ "Energy minister cancels Berlin trip". mehrnews.com. 7 April 2019. 1 2 "Scientist On Death Row In Iran Speaks To Radio Farda On Floods". Radio Farda. 28 March 2019. Retrieved 6 April 2019. ↑ hermesauto (15 April 2019). "2 million in need of aid after Iran floods: Red Crescent". The Straits Times. Retrieved 16 April 2019. 1 2 "All Forces Mobilized as Floods Wreak Havoc on Northern Iran". ifpnews.com. 24 March 2019. 1 2 3 "Torrential rain and flooding kill 17 in Iran". The Independent. 25 March 2019. ↑ "هشدار هواشناسی به مسافران نوروزی؛ باران و رگبار گسترده در راه است- اخبار اجتماعی - اخبار تسنیم - Tasnim". خبرگزاری تسنیم - Tasnim (in Persian). Retrieved 25 March 2019. ↑ "فیلم/ تصاویر هوایی اورژانس از گستردگی سیل در استان گلستان- اخبار اجتماعی - اخبار تسنیم - Tasnim". خبرگزاری تسنیم - Tasnim (in Persian). Retrieved 25 March 2019. ↑ "Flood Continues in Northern Cities of Iran". Iran International. 22 March 2019. Retrieved 12 April 2019. ↑ "Iran Flood March 29". reliefweb.int. 5 April 2019. ↑ کرمی, ناصر (23 March 2019). "سیل گلستان در چنبره تقلیل و ساده سازی" . Retrieved 25 March 2019. 1 2 "Iran flooding leaves at least 21 dead, and more rain on the way". CBS News. 26 March 2019. ↑ Cappucci, Matthew (27 March 2019). "Floodwaters deluge Iran, killing at least 23, after a month's worth of rain turns roads into rivers". The Washington Post . Retrieved 28 March 2019. 1 2 Jalili, Saeed (26 March 2019). "Iran flood: More than a dozen killed in flash flooding". aljazeera.com. Al Jazeera. Retrieved 26 March 2019. 1 2 3 Farda, Radio (5 April 2019). "Fresh Floods Threaten 9 Iranian Provinces As More Rain Expected During Weekend". Radio Farda. Retrieved 11 April 2019. ↑ CNN, Artemis Moshtaghian. "Flash flooding kills 19, injures more than 100 in southwest Iran". CNN. 1 2 3 4 5 Agencies, Kashmir Observer (2 April 2019). "Iran floods: New alerts issued as heavy rains continue". Kashmir Observer. Retrieved 11 April 2019. ↑ "Latest On Iran Flood Disaster: Extraordinary Emergency In Many Towns". RFE/RL. ↑ "نجات 39 نفر از مردم پلدختر از محاصره سیل‌/ ورود تجهیزات و تیم‌های پزشکی به پلدختر- اخبار اجتماعی - اخبار تسنیم - Tasnim". خبرگزاری تسنیم - Tasnim (in Persian). ↑ "Unprecedented severe rainfall in Iran". eco-rcrm.ir. ECO-RCRM. Retrieved 19 April 2019. ↑ Iran - Flash Floods Update (JRC, Media) (ECHO Daily Flash of 31 March 2019) (Report). ReliefWeb. European Commission's Directorate-General for European Civil Protection and Humanitarian Aid Operations. 31 March 2019. Retrieved 3 April 2019. ↑ Flash Floods Hit Iran Again as Western Province Submerged (Report). ReliefWeb. Voice of America. 1 April 2019. Retrieved 3 April 2019. ↑ "Iran floods: Fresh evacuations with more rain forecast". BBC. Retrieved 6 April 2019. ↑ "Iran's Oil-Rich Khuzestan At The Mercy Of Floods". radiofarda. Retrieved 9 April 2019. 1 2 "German lifeboats being used in flood-hit Khouzestan". reliefweb. Retrieved 9 April 2019. ↑ "Iran Floods Update (DG ECHO, media) (ECHO Daily Flash of 07 April 2019)". reliefweb. Retrieved 7 April 2019. 1 2 News, IRNA (8 April 2019). "Hospital evacuated in SW Iran as floods inundate cities". Islamic Republic News Agency. Retrieved 11 April 2019. 1 2 Hafezi, Parisa. "Floods kill at least 18 in southern Iran, provinces on alert". reuters. Retrieved 25 March 2019. ↑ Staff, Mehr (3 April 2019). "Iran's dried wetlands recovered after heavy rains: minister". Mehr News Agency. Retrieved 11 April 2019. 1 2 3 "Iran suffers '$2bn in damages' as flood toll continues to rise". aljazeera. Retrieved 14 April 2019. 1 2 3 "IRGC Vows to Raise Hope, Morale in Flood-Hit Regions". Fars. Retrieved 9 April 2019. 1 2 Jeff Masters (3 April 2019). "Record Floods in Iran Kill 62, Cause Over $1 Billion in Damage". Weather Underground. Retrieved 3 April 2019. ↑ "اسامی ۱۵ جان‌باخته سیل لرستان اعلام شد". Tasnim. Retrieved 6 April 2019. 1 2 3 Daragahi, Borzou (30 March 2019). "Iran's Hurricane Katrina Moment". Atlantic Council. Retrieved 2 April 2019. ↑ "Floods Demolish 25,000 Houses Across Iran, Damage 60,000 Others". RFE/RL. 1 April 2019. Retrieved 2 April 2019. ↑ News, IRNA (8 April 2019). "Floods damage 44 public libraries in Iran". Islamic Republic News Agency. Retrieved 11 April 2019. 1 2 "Floods Threaten Iran's Ancient Relics As Cracks On Historic Walls Widen". Radio Farda. 27 March 2019. Retrieved 3 April 2019. ↑ "نیروهای مسلح برای کمک به مناطق سیل زده". khamenei.ir. ↑ "Iran bans non-official crowdfunding appeals after deadly flash floods". Euro News. 25 March 2019. Retrieved 3 April 2019. ↑ "Information Bulletin 10/ Iran Flood – Timeframe: March & April 2019". Al Monitor. 7 April 2019. Retrieved 7 April 2019. ↑ "From North to South, Barakat Foundation and Setad Rush to Help Iran's Flood-Hit Areas". PR Newswire. 7 April 2019. Retrieved 16 April 2019. ↑ "Under Trump, US Pushes"Let 'Em All Die" Policy Towards Iran Flood Victims". MintPress News. 8 April 2019. Retrieved 16 April 2019. ↑ "Pakistan dispatches humanitarian assistance to flood hit Iran". Mehr News Agency. 10 April 2019. ↑ "Pakistan sends humanitarian aid to flood-hit Iran". Express Tribune. 10 April 2019. ↑ "Pakistan sends two C-130 aircrafts [sic] to Iran with flood relief goods". Pakistan Today. 9 April 2019. ↑ European Commission, EU (4 April 2019). "EU provides €1.2 million in emergency support to help victims of floods in Iran". EUROPEAN CIVIL PROTECTION AND HUMANITARIAN AID OPERATIONS. Retrieved 11 April 2019. ↑ "Aid Convoy of Iraq's Nujaba Arrives in Iran's Flood Hit Areas (+Photos)". Tasnim News Agency. 13 April 2019. Retrieved 14 April 2019. 1 2 "Iran Expands Flood Warnings to Five Northeast, Southern Areas". Bloomberg. 13 April 2019. Retrieved 14 April 2019. ↑ "The Iran Red Crescent has not received any "cash" assistance from abroad". IRNA. 13 April 2019. Retrieved 13 April 2019. ↑ "Explaining of the Head of the Iranian Red Crescent Society on receiving foreign aid for flood victims". Khabar online. 13 April 2019. Retrieved 13 April 2019. ↑ "Head of the Iranian Red Crescent Society: We did not receive any foreign cash payments". Farda News. 13 April 2019. Retrieved 13 April 2019. ↑ "Iranians enraged by Rouhani's no-show in flood-stricken areas". Al Monitor. 26 March 2019. Retrieved 3 April 2019. ↑ Daragahi, Borzou (25 March 2019). "Torrential rain and flooding kill 17 in Iran". The Independent. Retrieved 3 April 2019. ↑ "Iran's Foreign Minister Blasts Trump's Sanctions As 'Economic Terrorism,' Accusing U.S. of Blocking Humanitarian Aid". newsweek.com. 2 April 2019. ↑ "Iran orders evacuations in Khuzestan amid flood risk". BBC. Retrieved 2 April 2019. ↑ "UPDATE 4-Iran floods force evacuations as U.S. denies sanctions harming aid efforts". CNN. 2 April 2019. ↑ EDT, Tom O'Connor On 4/2/19 at 3:56 PM (2 April 2019). "Trump administration says floods are Iran's own fault after the U.S. itself hit by "historical" flooding". Newsweek. ReliefWeb 's main page for this event.